Leif Edvinsson ist weltweit führender Experte auf dem Gebiet des Wissenskapitals (IC). Als erster Professor für diese Thematik weltweit folgt er einem Lehrauftrag als Professor an der Universität von Lund, Schweden. Außerdem ist er CEO des Universal Networking Intellectual Capital. Als ehemaliger Vizepräsident und weltweit erster Corporate Director der IC bei Skandia, Schweden, hat Edvinsson einen wichtigen Beitrag zu der Theorie des Wissenskapitals geleistet und beaufsichtigte die Entwicklung des weltweit ersten gemeinschaftlichen IC Annual Report. Darüber hinaus ist er Begründer des ersten Entwicklungslabors für Wissenskapital, das Skandia Future Center. 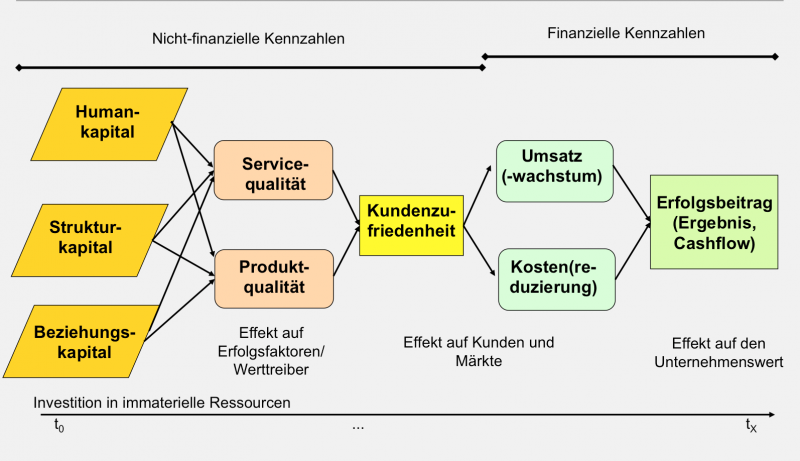 Im Jahre 1996 wurde er sowohl vom American Productivity and Quality Center (USA) als auch von Business Intelligence (UK) für seine Pionierarbeit im Bereich des Wissenskapitals ausgezeichnet. Im März 1997 hat er gemeinsam mit Michael S. Malone das Buch über Wissenskapital „Realizing Your Company’s True Value by Finding Its Hidden Brainpower“ herausgebracht. Im darauffolgenden Jahr bekam Edvinsson die Auszeichnung „ Brain of the Year“, die einen hohen Prestigewert besitzt, wobei er sich u.a. gegen Bill Gates und Paul McCartney durchsetzte. Edvinsson tritt in die Fußstapfen von berühmten früheren Preisträgern, wie etwa Garry Kasparov (Schachweltmeister), Prof. Stephen Hawking und dem Hofdichter Ted Hughes. 2000 befand er sich auch auf der Liste der Top 20 der angesehensten intellektuellen Leiter für Wissenskapital. Prof. Leif Edvinsson war früher Senior Vice President für Ausbildung und Weiterentwicklung der SE-Bank und Präsident und Vorsitzender der Consultus AB, einer Beratungsfirma mit Sitz in Stockholm. Aufgrund seines Tätigkeitsbereiches sowohl in der Ausbildung als auch im Bereich des IC ist Prof. Leif Edvinsson als „special advisor“ für den Handel mit Dienstleistungen für das schwedische Außenministerium tätig gewesen. Er ist ebenfalls „special advisor“ des schwedischen Kabinetts über die Auswirkungen der neuen digitalen Wirtschaft und „special advisor“ des UN internationalen Handelszentrums. Außerdem gründete er die schwedische Koalition der Dienstleistungsindustrien. Er ist Mitglied mehrerer Aufsichtsräte, darunter auch börsennotierter Unternehmen und Stiftungen. Prof. Leif Edvinsson hat einen MBA der Berkley Universität von CA. Er ist Verfasser zahlreicher Artikel über die Dienstleistungsindustrie und über Wissenskapital. Regelmäßig trägt er bei Organisationen wie dem BBC, CIO, Conference Board, Economist, Handelsblatt, Insead, IMD und dem American Productivity and Quality Center vor. Im “Who is Who in the world “ ist ebenfalls sein Name zu finden. We are happy to announce that the work “smart cities” that we started last year in the Atlantic rim project now will be continued in Slovakia. Partners will be Centire in Slovakia, the university Joanneum in Austria. Professor Günther Koch will work as a sub-supplier to Wissenskapital. This state-of-the-art project shows that IC is becoming more and more accepted as a prerequisite for sustainable economic development for cities as well as regions. The project starts in November and will end in 2015. “IC Statement and Management Report” How to integrate these reports, Expert and responsibel for implementation in SEM. Sustainable value and societal welfare is created by companies and its work force bringing value to customers who are prepared to pay for these products or services. A company can only achieve this if the right intellectual capital factors (or intangible assets) are provided and promoted by the society. Financial capital does not make the difference, because it is global and not unique. With the Wissensbilanz/ICS (IAbM) we have the facts and data needed to make good decisions based on what is realistic, on a regional, national basis. Although this should be self evident, little is happening on a global macro level. To save the Euro, taxpayer’s money is pouring into a system of over-dimensioned bank’s balance sheets, inefficient public sectors and prestige official projects not coming close to giving any sustainable social value. I do not think that our decision makers deliberately make these wrong decisions. What is missing is an understanding of how economical value is being created over time. With our work with mostly German mid-sized companies and now specifically in the health care sector, we show how our method works successfully on a micro basis. Next step would be to convince our leaders that a macro economy is only the sum of the micros. Good economic policy can only work in the long run when the micro economies work. Today’s gloom economic outlook for the Western World is not a natural or unavoidable phenomenon. It is a result of human action were financial value creation became more important than real economic value creation. Only a change of the mind set away from shareholder value into stakeholder value can direct us into a better future. In order to achieve this, brave and strong leadership is required. At least, we now have the facts and data to quantify the consequences of this miss management of our resources.